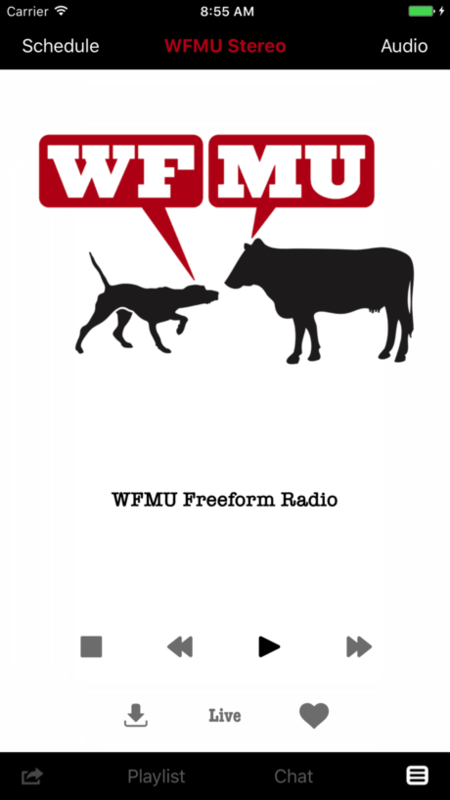 Back in 2007, WFMU was the first station in the world to stream live audio to the iPhone and with the v4.0 release of our iPhone app we've once again pushed the envelope for mobile radio. Our free iPhone app allows you to listen to both our 128k and 32k streams as well as all our alternate web only streams. Also available are recent archives for our entire schedule (with real time playlists when available), our full slate of podcasts, Upcoming Events, Station News and our Twitter stream. Other features include realtime commenting, Twitter + Facebook integration, Last.fm scrobbling, the ability to favorite songs and purchase them directly from iTunes, rewinding live audio and background streaming. You can grab our iPhone app here. 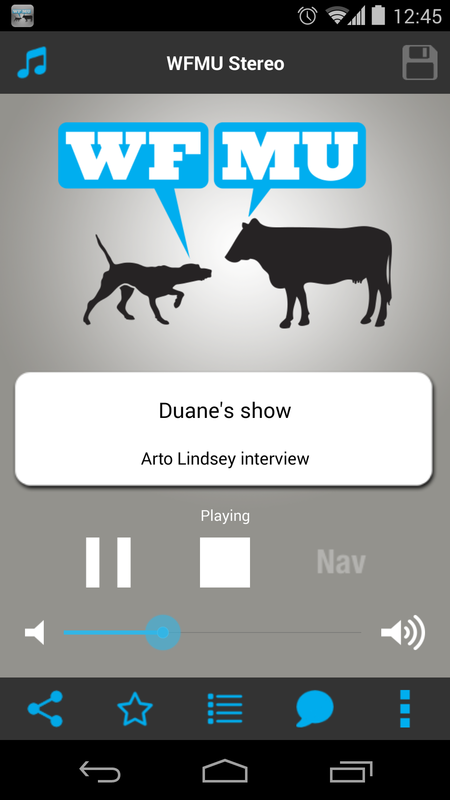 In 2010 WFMU released its first app for the Android operating system, with the latest updates in 2014. Our Android app includes 128k and 32k versions of our live streams as well as all of our alternate streams. On demand content, such as our Podcasts and recent archives are also available as is recent Station News. Our Android app is currently available for free in the Google Play Store. Just search for "WFMU" (or if you are viewing this page on your phone click here). Kindle Fire users should be able to find our app in the Amazon Appstore for Android, and it should also be available there for Amazon's new Fire phone. If you encounter long startup buffering times or unreliable streaming, especially if your Android version is too early to be supported by our current app, note that Android-using listeners who encountered those problems have had good luck listening to our live streams via the TuneIn Radio service. Mainstream Android users can try the TuneIn Radio app from the Google Play Store, and users of Amazon devices can try the TuneIn Radio app from the Amazon Appstore. Currently iPhone and Android OS's account for over 80% of our mobile traffic so we have chosen to focus on those platforms. Ideally we would love to provide a customized app for every mobile platform but unfortunately we are unable to do so. Below are some tips for how to listen on various mobile platforms along with some urls you can try using to grab our streams in whatever mobile client you may be using. Blackberry - Many of our listeners seem to enjoy the free YourMuze (formerly Moodio) site. It is free but requires registration. As far as paid software RadioBee is worth checking out. Nokia - Try Nokia Internet Radio or YourMuze and let us know how it goes. Windows Mobile - Try using TuneIn Radio. If you have any questions please email our stream team. Copyright © 2013 WFMU. All Rights Reserved. Dynamic page content generated by KenzoDB, created by Ken Garson. CSS by Marcus Estes. Thanks to Scott Emmer.